Walking to work is a great way get more physical activity and have an active commute. Walk to Work Day is celebrated in at different times in various communities and countries. Learn more about walking to work and efforts to promote walking commutes. National Walk to Work Day was held on a Friday in April in the U.S. beginning 2004 and ending as an official day in 2012. You will still see it listed as an unofficial celebration day. The day was promoted by Prevention magazine and endorsed by the U.S. Department of Health and Human Services and the American Podiatric Medical Association. 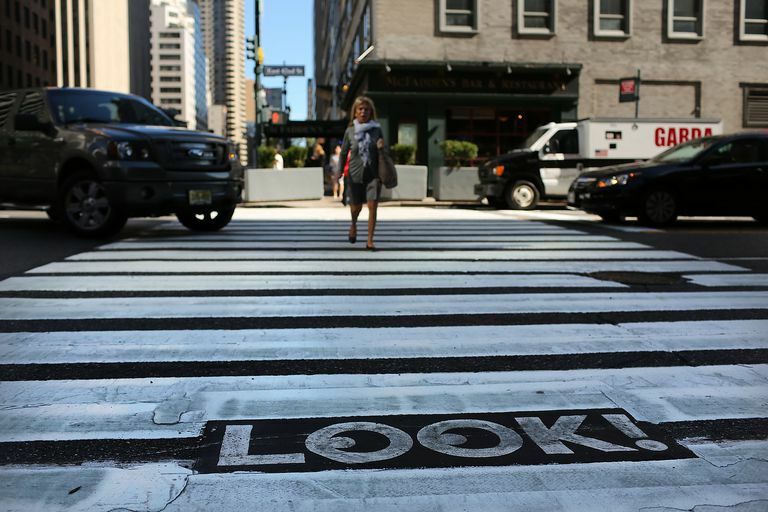 San Francisco hosts Walk to Work Day on a Friday in April. By walking part of your commute, you can enjoy Walk to Work Hubs that provide coffee and treats and you can enter to win prizes. Australian Walk to Work Day is held in October. Living Streets in the U.K. designates May as Walking Month. They often have activities that focus on walking to work as part of this celebration. You are encouraged to walk for all or part of your commute to work. Aim for a minimum 15-minute walk each way. If you take public transportation, try walking to a further stop before boarding, or getting off a stop early and walking the rest of the distance to work. If your commute is too long, make it a "walk at lunch day." Invite your co-workers to join with you in walking to work or walking at lunch. Walking for 30 to 60 minutes a day reduces your risk of heart disease, cancer, stroke, and diabetes. This amount of walking is recommended by the CDC and health authorities around the world. Brisk walking for 30 minutes a day as part of your work commute or lunch ensures you get this recommended amount of moderate-intensity physical activity. Even walking at a leisurely pace reduces the time you spend sitting, which increases your health risks. If you are sedentary, you can get started as a beginner walker. Start with an easy 10-minute walk and steadily build up your walking time per session. Your walking shoes should be comfortable for walking for 15 to 30 minutes at a stretch. If your work shoes don't work for walking, wear athletic shoes and carry along your work shoes to change into. Be sure to dress for the weather with a jacket (water-resistant, with hood in rainy climates). Carry your necessary papers and items in a small backpack so you can walk with good posture and without back strain. A pedometer, fitness band, or pedometer app on your mobile phone can motivate you to log more steps each day. Adding 2000 more steps to our day is a good way to start on your way to a goal of 10,000 steps or more. That's about 1 mile or between 15 and 30 minutes of walking, depending on your pace. To have the best walk to work, plan out your route in advance. Use a walking route planner app or online tools. Explore cell phone apps that can guide you as you go, such as MapMyWalk. If there is no safe place for you to walk in your neighborhood or at work, hitting the treadmill is one answer. Getting involved to demand a walkable community is the long term solution. Pedestrian advocates work with local towns and cities to promote good sidewalks, walking and biking paths, pleasant parks, and healthier communities. If you have a sedentary job, walking to work can help reduce your hours of inactivity. You may not be able to walk for your entire commute, but you may be able to walk for part of it. You might even walk home from work one day and to work the next. You will be doing your body a favor. How Can You Use Walking to Help the Planet?